Galvanized Wheel Rims Now Standard - Sauber Mfg. Co.
It’s been understood for a while now that painted rims, even with advancements in powder coating, don’t hold up very well. This is true across trailers and trucks and it doesn’t take a long walk in the yard to prove it out. The rim is in the harshest environment on the road—and it’s spinning. No wonder the finish can give up so quickly. Until now, this has just been a fact of life. Today, we are announcing a conversion on all our trailers wheels to a hot-dipped galvanized finish. The same finish that has been loved by our customers for nearly three decades and is also standard on our trailers, mobile frames, platforms, dumps and everything else we build out of steel. 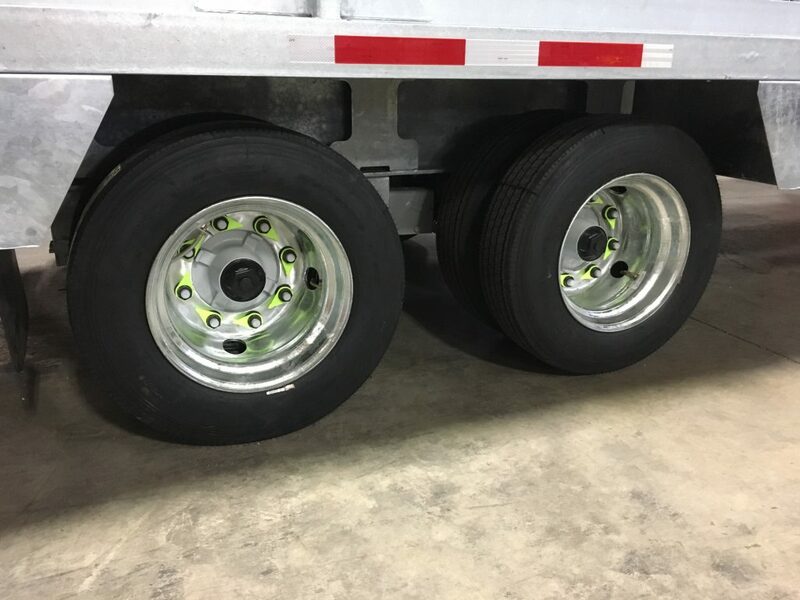 While this is a standard, no-charge upgrade for our customers, we expect it to be highly valuable as it will keep the rims in the same great shape as the balance of the trailer. In combination with our wheel nut indicators, stainless steel inner dual valve stem extensions and available electronic hubodometers, this area of our trailers is getting the same great attention as everything that rides above it.